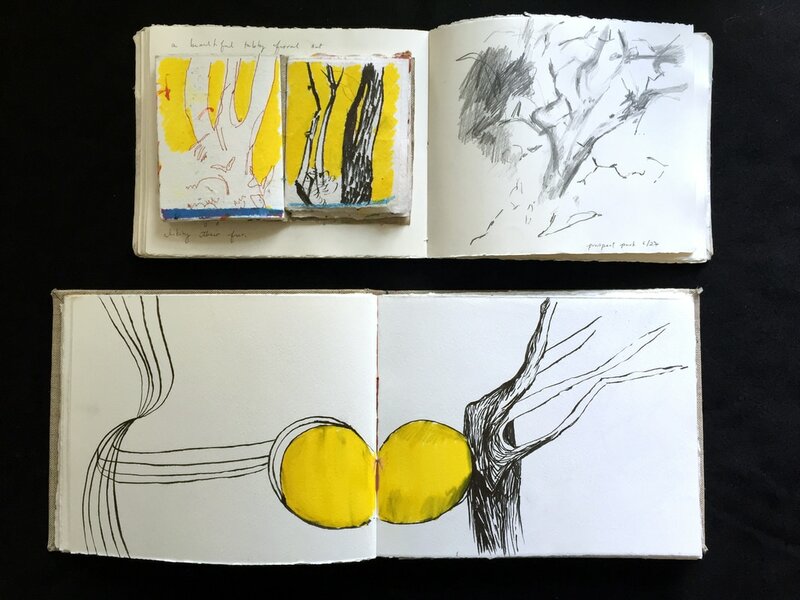 While abroad in Italy in 2002, Church began hand-binding sketchbooks. Drawing, note taking, and writing in these books is an integral part of Church's artistic process. The books are art pieces in their own right and serve as guides to the history of completed paintings. Church writes poetry as a way to get to the core of her artistic experience, and to discover the meaning behind her paintings and drawings. Since 2004, Church has worked on various artist book projects. 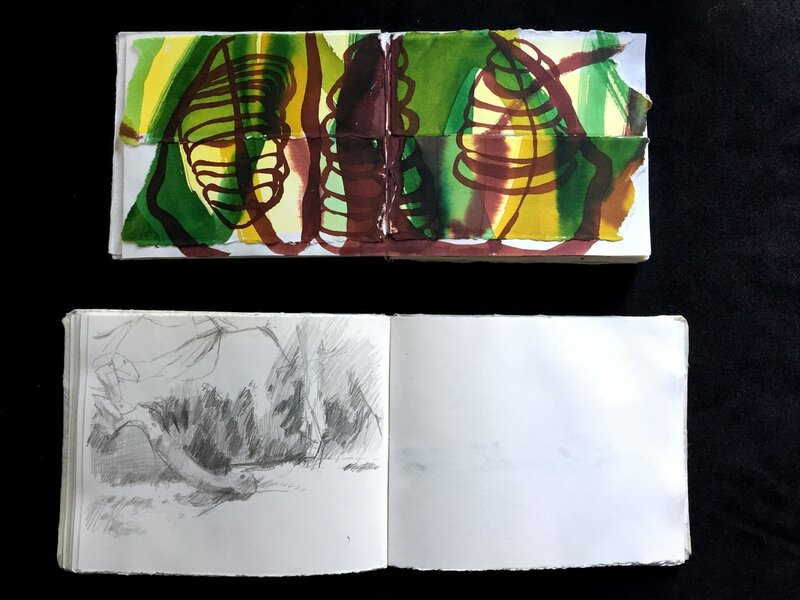 While at the Cite Internationale des Arts residency in Paris, France in 2004, Church researched and conceived of the artist book Elemental with collaborators Shelby Lattis and Amy Seibert. The artists traveled to sacred sites both ancient and modern throughout France, Italy, and Portugal. The resulting book consists of digitally printed writing, photographs, and drawings and can be found in the shop for purchase. In 2012, Church wrote, illustrated, and bound a book of poetry titled The Leap and Fall. The poems explore themes including muse, memory of home, time, and catastrophic weather. The text is digitally printed and the images are hand printed from plates created from graphite drawings. The book can be found in the shop for purchase. ​Writing poetry and notes in her blank books is an integral part of Church’s process. The writing allows her to get at the heart of the images she is compelled to make, though rather than answer the questions put forth by the images, the writing often deepens the questions themselves. but rather everywhere in the damp. and to feel authentic in my making. than that of the city. perhaps for use at a later date. ​across the face of it all.